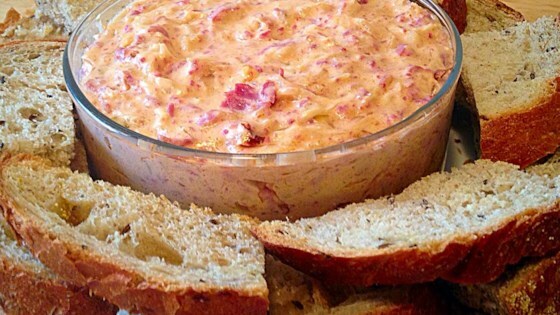 "A wonderful, easy, creamy hot dip that even sauerkraut haters love. I often take this to work potlucks because I can assemble it at work. Just throw everything in and stir a few times. Also, it's delicious when it's overcooked and kind of dry!" This was a hit during the Superbowl. I served it with tortilla chips and added 1 cup of milk because I wanted a thinner dip- it did great in the crockpot on low during the whole game.